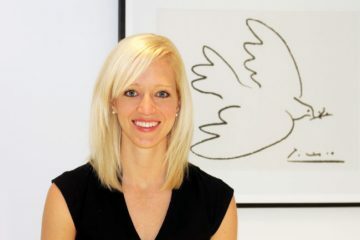 Following graduation from law school, Kate Gilman was waiting to start a new job at a litigation law firm in New York when she realized that although she enjoyed studying law, it was very different practicing it. 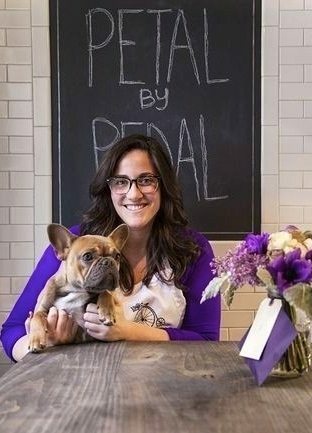 Taking a big leap of faith, Kate changed her direction, tapping into her passion for creating positive change to launch Petal by Pedal, a new floral delivery business set to shake up the flower industry. Born and raised on Long Island, New York, Kate grew up with a love for the opportunity and excitement found in the City, along with an appreciation for the nature and quiet found on its outskirts. By sourcing blooms directly from New York farmers and delivering the final arrangements to city dwellers, via bicycle messenger, Petal by Pedal merges the urban with the rural bringing its customers “flowers simplified”. Today in the United States, $13 billion worth of cut flowers are sold annually and 82% of those are imported, making a carbon footprint much larger than Mother Nature had likely intended. Through supporting local growers and their beautiful flowers, Petal by Pedal keeps the environmental impact low and is able provide its customers with a longer lasting, fresher product that is free of the harmful chemical pesticide and border fumigation processes inherent to imports. 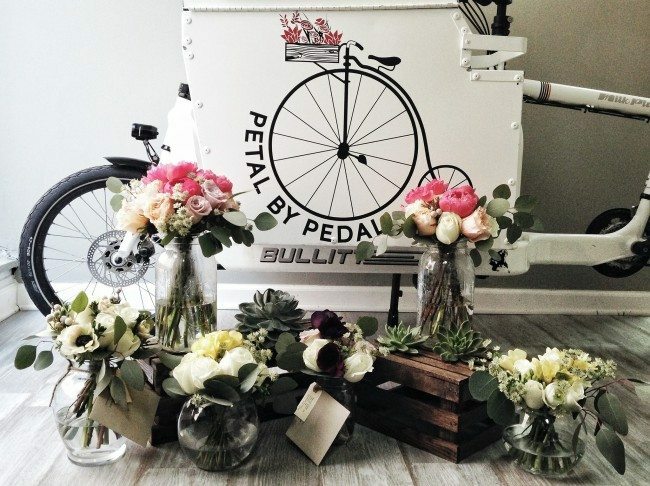 The flower industry hasn’t experienced the same kind of consciousness movement that the food industry has, and Petal by Pedal is aiming to deliver product awareness along with its in season, fresh cut flowers. WYSK caught up with Kate in New York City to talk about her journey from lawyer to new business owner and what it took to take the leap. And of course we couldn’t resist asking about her favorite flowers, too! How did the idea for Petal by Pedal evolve? KG: Petal by Pedal evolved during the time in which I was living in New York City and had not yet started a full time job at a law firm. My apartment is in Greenwich Village and I spent a lot of hours at the Union Square Greenmarket, buying flowers hand to hand with New York growers. It was in those conversations that the idea for PxP began to form, based on the premise that these blooms were gorgeous, long lasting and inexpensive and that everyone should be able to access locally grown flowers without having to go to the farms market in person. What made you decide to go to go to law school? KG: I went to law school to become an advocate – to represent and stand with people in their often most challenging circumstances. This is where my passion for lawyering lives, in its most personal interaction and affect. It is still something that drives me in my life, in addition to the creative and environmentally focused work I do with Petal by Pedal. While at law school I concentrated on those types of courses – family law, criminal law, clinics that allowed actual courtroom representation – and I spent my school breaks and summers working legal jobs that allowed me to try those types of careers out in earnest. This meant time with various public defenders throughout the United States, including the Manhattan Legal Aid Society Criminal Defense practice and a mid-town litigation law firm as another, specializing in family law there. In all of these circumstances, I found aspects of myself thriving. 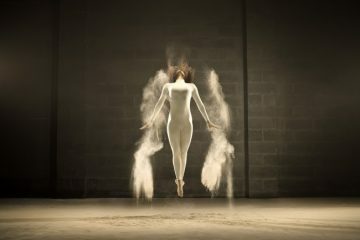 The work was stimulating and difficult, both emotionally and intellectually. It wasn’t until I graduated from law school and set out to start a legal career in earnest, that I heard my more creative and entrepreneurial voice louder than I had ever heard it before. I took the jump and stand here today after launching Petal by Pedal with no regrets. Do you have an agriculture or environmental background? KG: My training came in the form of gardening with my mother growing up – much more practice than study, and in earnest, over the last two years at the New York Flower School where I have work-shopped with some of the most talented florists out there. It’s rare for growers to sell direct, how did you convince them to partner with you? KG: The growers have been enthusiastic. It’s a hard business to run a farm, whether you’re growing produce or flowers, and any ability to sell predictably for them is helpful. 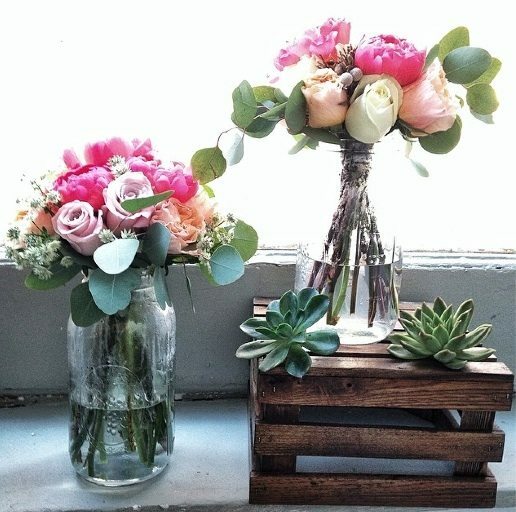 In a larger way, PxP also seeks to help local growing by creating awareness of the state of flowers in the United States and in New York City in particular. Almost everything we buy has been imported and there is a much simpler, more authentic, way of doing things that is better for local business, for your wallet and for the environment (learn more about the growers here). What are some of the challenges you have faced getting Petal by Pedal off the ground? KG: There are definitely advantages and disadvantages to my business model. 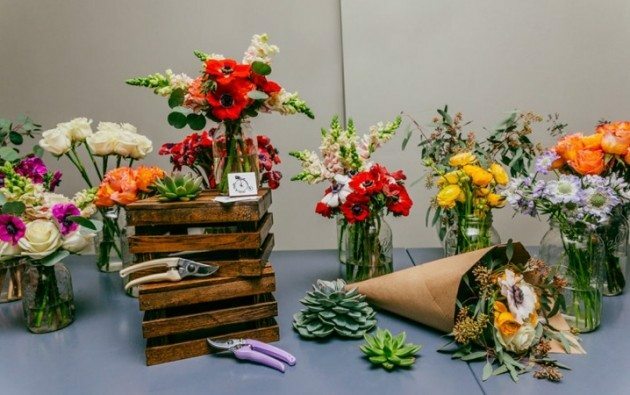 As a floral studio with a website instead of a store, I don’t have the hand to hand sales and walk-in business that traditional florists can rely on. However, that frees me up for lots of unique and creative partnerships, events and general approach to flowers. As a business that sources only in New York State, the challenge lies in picking the right farms as partners and in navigating the many twists and turns that those partnerships present. Something as simple as the temperature can have an enormous affect on the timing of our bloom supply. 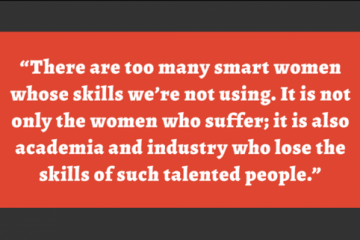 So many women are afraid to make the leap from where they are to where they want to go, do you have any advice to offer? KG: The best advice I can give is to keep good company – those who inspire you to take good risks and to follow your passion and skill – and to cut out the noise. So much of what you’ll hear is fear of others or the fear in your own head – zoom out as much as possible, listen to constructive feedback and let it refine your plans, let it fuel you to evolve your business. But try not to let the doubts of others influence whether or not you try something new. 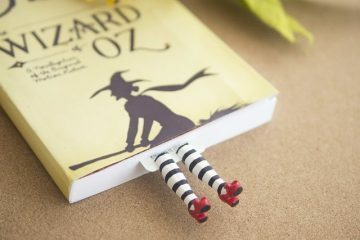 Remember, you are the author of your story – no one else. KG: For now, our growth plans are to keep doing what we’re doing, and do it well, one month at a time. We are continually rethinking various aspects of our practice, how to optimize roles and make everything most true to our ‘flowers simplified’ ethos, while leaving room for the unexpected and for the creative. I’d like to see us with a firm foot in the NYC flower space by the end of the year, with mostly repeat customers (businesses and individuals) who come back again and again and a healthy sense of who we are and what our winning formula is day-in and day-out – then maybe we’ll think about Petal by Pedal popping up elsewhere. KG: My favorite flower is something that constantly changes – not quite as ephemeral as the life of flowers themselves, but close. Part of what is so exciting about PxP is that our bouquets reflect the real growing cycle of flowers in our climate and so at certain times, I’m using a lot of one flower, at others I can’t use it at all. It makes things fun as a floral designer because you really never make the same thing twice. Right now, I’d say my favorite flower is Astilbe. It gives just the right hint of wild and delicate within our handcrafted arrangements.